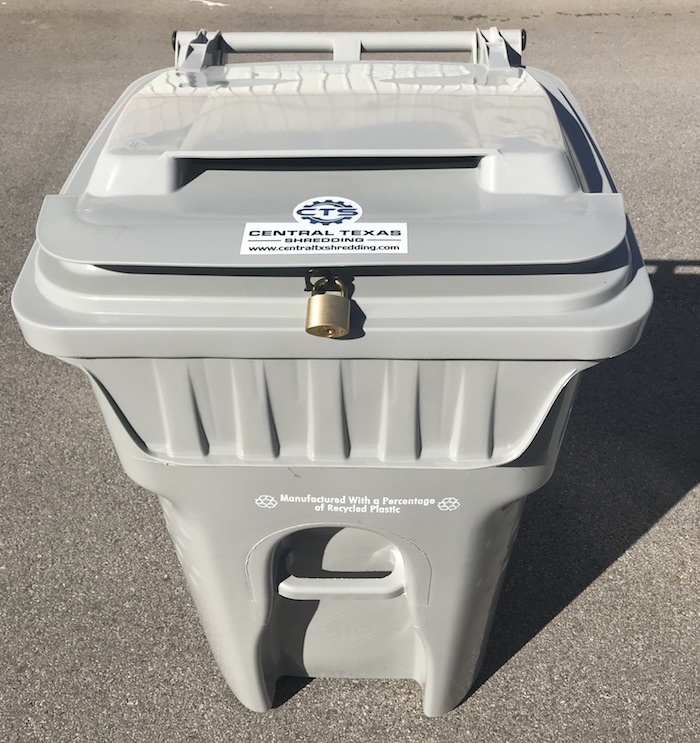 As your go-to shredding company throughout the Austin, Georgetown, Round Rock, San Marcos and surrounding areas, Central Texas Shredding helps you choose the right shredding containers for your business or organization. 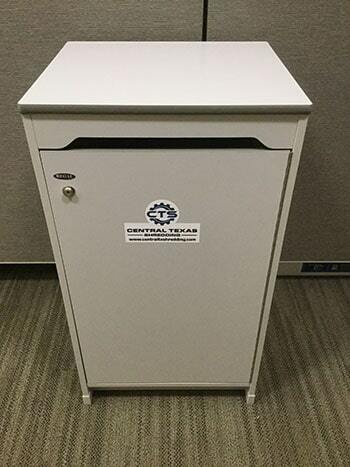 We offer secure, sturdy shredding consoles that enable confidential material to be quickly, conveniently and securely disposed of at any time. Our shredding consoles come in a variety of sizes and styles to fit your destruction needs and office décor. The Executive Console fits very well in an office environment. It looks like a piece of office furniture. Many businesses place their printer on top. Executive consoles have a nylon bag inside each console. When our shred technicians come on-site, they empty the confidential information inside each bag into a secure, locked container. The secure, locked container is then wheeled out to the shredding truck where the contents are destroyed on-site. The nylon bag is replaced inside the Executive Console and the console is locked. 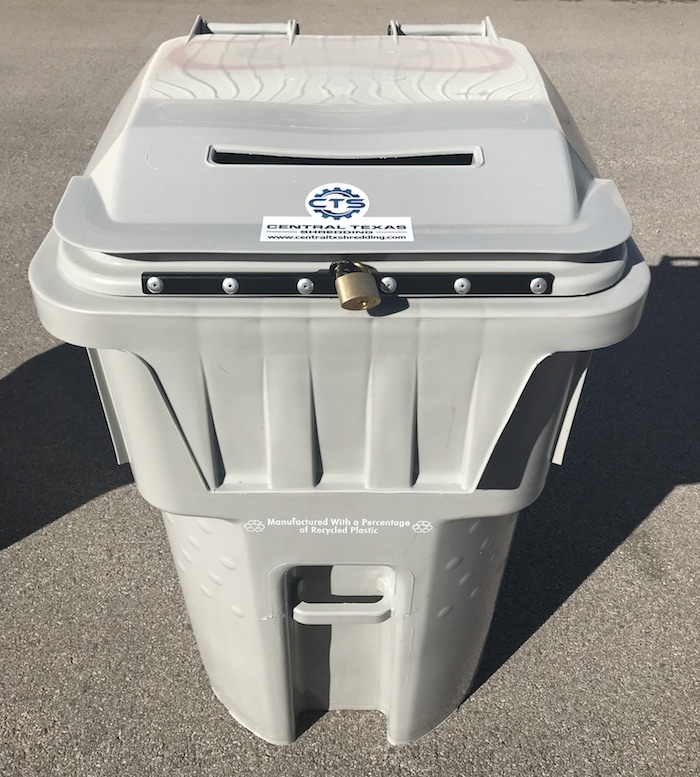 Central Texas Shredding delivers shredding collection consoles directly to your facility and strategically places them within your office for FREE. 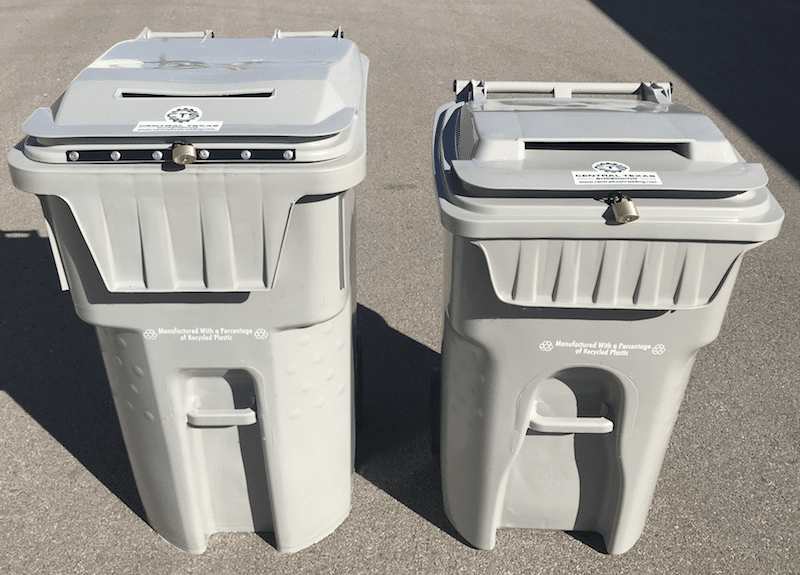 We’ll even assess your document disposal needs and help you determine which shredding collection containers and how many will best suit your organization.